I love nothing better than a good ghost story set in an old house and The Flip is a creepy tale that keeps you turning the pages. I liked both the main characters, Julie and Brad. I think most of us can relate to them and their need to make some extra money. In the case of this couple, they’ve been flipping houses. Not smooth sailing but nothing like the house they’ve just purchased. I loved the setting of this story and I could visualize Brad in the house, tearing away at the walls, and discovering more things about the house. The only thing I didn’t like about this story was the weaving of Brad’s point of view with those of the ghosts, it was a bit jarring at times, and also it wasn’t until later that the book switches back to 1862 where the real tale of the story is unfolded and we learn who these inhabitants are. I did like that their story was part of the actual history of the area and era which made for some interesting reading. The last third of the book really picked up the pace and I found myself turning the pages just to see if these two would make it out alive, or if the ghosts would destroy them and also the house. The secondary characters are entertaining too and the dialogue very natural sounding. 398 pages might sound like a daunting read for some people, but the print is large and the pacing quick so even if you’re short on time it’s not a problem. 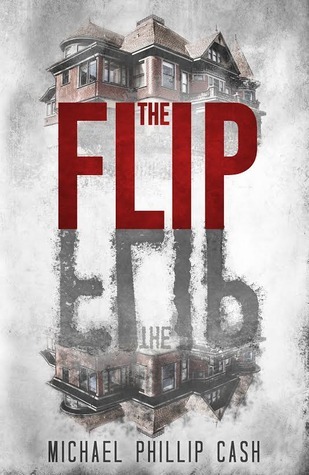 If you love a haunted house story, The Flip is probably a good pick for you.